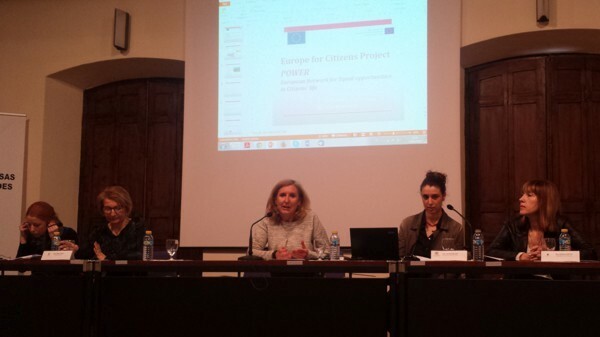 The second POWER event was organized in Ciudad Real from 16th to 18th of March 2015. During the 3 days event international and local participants attended meetings, conferences and visits. In particular during the event has been organized a round table focusing on “The role of women in political life in Spain and the EU” and “The situation of women in decision-making positions in the business and social environment”. 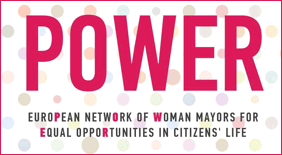 The project « POWER- EUROPEAN NETWORK OF WOMAN MAYORS FOR EQUAL OPPORTUNITIES IN CITIZENS LIFE» was funded with the support of the European Union under the Programme "Europe for Citizens"
- 88 participants from the cities of Pollina, Montagnareale, Castelbuono, Sinagra, Vita, Geraci Siculo, Rimini (Italy). 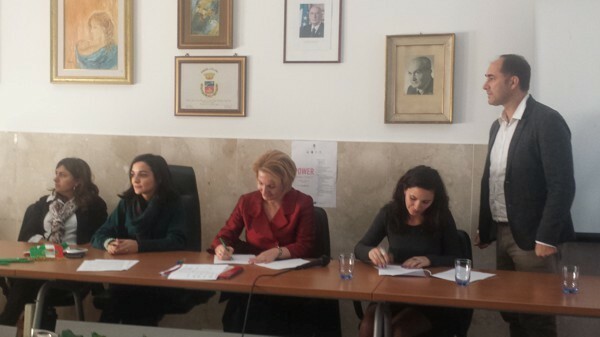 The first day of meeting (December 4th 2014) started with the welcome of the Mayor of Pollina, Mrs Magda Culotta, to the public audience and to the European delegations from partner organizations Municipality of Tetovo (Macedonia), Municipality of Ciudad Real (Spain), Municipality of Labin (Croatia) and the Association South Western Municipalities (Bulgaria). They presented their Municipalities with a particular focus about gender policies realized. Secondly, partners had the occasion to discuss technical issues concerning the project implementation; in particular, the organization of activities, the calendar of project events, the budget management and communication/ dissemination strategies. Moreover, a specific moment was reserved to the signature of the partnership agreement by all Mayors and Vice Mayors of Municipalities involved. A guided tour of the town of Pollina followed this meeting, in order to let participants discover historical, cultural and social features of Pollina‘s territory. In particular, the programme organized a visit to the Museum of Manna that represents an excellence – in fact Manna is produced only in this territory. In the afternoon, the activities continued at the Auditorium I.C. Pollina in San Mauro Castelverde (Finale) for a social meeting with local associations (Apollonia cultural music association - Pollina New Age Association - I Saracini Folk Association- Sicilia Bella Association) and citizens, precious occasion to get in touch with musical and culinary traditions as well as folklore. The folk group "I Saracini", composed by girls and boys of different classes of the Comprehensive School "A. Gagini" in Pollina, welcomed the participants with a dance and music performance. 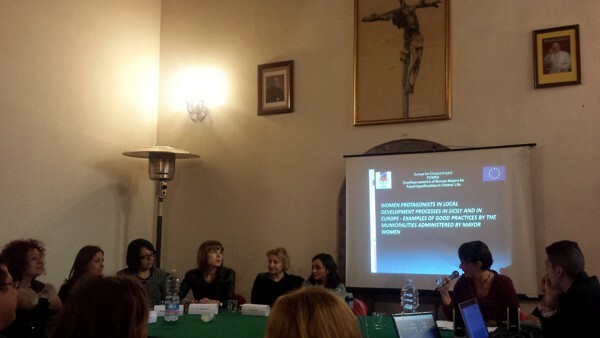 On the second day of the event (December 5th) a round table was organized with the title “The women protagonists in local development processes in Sicily and in Europe - examples of good practices by the municipalities guided by Women Mayors”. 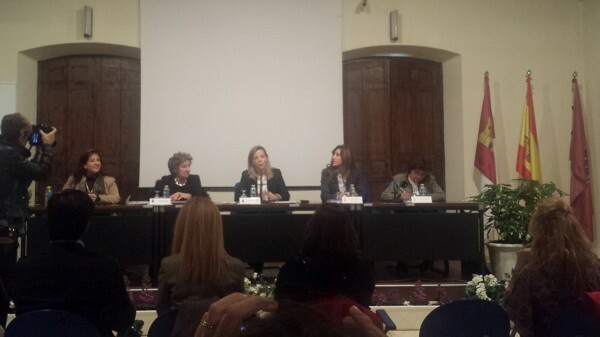 During the first part of the round table, three Woman Mayors coming from Sicilian municipalities, namely Filippa Maria Galifi (Municipality of Vita), Anna Sidoti (Municipality of Montagnareale) and Vincenza Maccora (Municipality of Sinagra) presented their experience and good practices to participants. Following their interviews, each representative of European municipalities presented its good practices in different fields (Environment, Work, Welfare, Education, Sustainability and Tourism, Mobility etc.). After these presentations, respecting one of the milestones of the POWER project, the Mayor Magda Culotta presented her personal and professional experience as well as Pollina’s good practices.The biography is a precious tool to encourage and foster participation of women in political and social life, with the transfer of good practices and experiment methodologies on the target groups involved. This meeting hosted also a photo exhibition of the Slovak photographer Nina Kalinova “The faces of women”. Mrs Kalinova was born in Bojnice in Slovak Republic, but she lives and works in Finale di Pollina for 15 years. The ethical revolution and the fight for civil rights are among the foundations of his photographic art. The second part of the round table has been dedicated to the conference “The responsibility of being a woman mother and leader”, with the participation of a group of local women with different professions that shared their personal and professional experience. Citizens and participants heard five different stories, in particular: Antonella Cancila - Headmaster of the Comprehensive Institute, Arianna Attinasi - Editor of the Publishing House named Arianna, Marinella Fiume - Teacher, Writer and First Woman Mayor in Sicily, Giuliana Maria - Teacher, Rossella Cuggino – Anaesthetist and First Aid Doctor. This second day ended with a social dinner introduced by a musical concert of the municipal band "A.C. M. Apollonia" and followed by a theatrical performance of the actress Patrizia D'Antona, who played ahumorous show about being women at all stages of life, particularly menopause. The third and last day (December 6th) the programme proposed a guided tour in Palermo focused on the discovery of the Palermo of women, with cultural walks through the squares and streets of the historical centre where women, in particular heroines, artists, rebels and embroiderers have left their mark and of which we have lost the memory. - 110 participants from the city of Ciudad Real (Spain). The first day of meeting (March 16th 2015), the POWER audience has been welcomed by the Mayor of Ciudad Real, Ms. Rosa Romero Sánchez. During the morning the partners discussed technical issues concerning the project implementation in particular the budget management , communication/ dissemination strategies as well as the upcoming activities. In the afternoon a debate has been organized focusing on “Presentation of the political career of female councillors in the Province of Ciudad Real”. The debate has been moderated by the Councillor for Economic Development and Tourism, Dolores Merino, and the main interventions have been conducted by Helena López (Councillor for Equality), Encarnación Medina (Mayoress of Villarubia de los Ojos), Mª Teresa González (Mayoress of Torralba de Calatrava), Ana López (Mayoress of Carrión de Calatrava). In the evening the programme continued with a visit to the historical centre of Ciudad Real as well as the musical performance “Musical Monday” organized at the Old Casino of Ciudad Real, Paseo del Prado. On the second day (March 17th) the programme started with the roundtable: “The role of women in political life in Spain and the EU”. During the roundtable all political representatives from Spain and Europe gave their contribution presenting the main data and surveys conducted on their countries. To the first part of the roundtable participated Rosa Romero, the Mayor of Ciudad Real, who presented her personal and professional experience, Carmen Casero the Councilor of Economy and Employment and Tourism, Junta de Castilla – La Mancha, the Representatives of Pollina (Italy); Tetovo (Macedonia); Association of Southwestern Municipalities (Bulgaria); Labin (Croatia) and Women politicians and representatives of associations of rural women in the Province of Ciudad Real. Furthermore the second part of roundtable focused on the topic “The situation of women in decision-making positions in the business and social environment”. 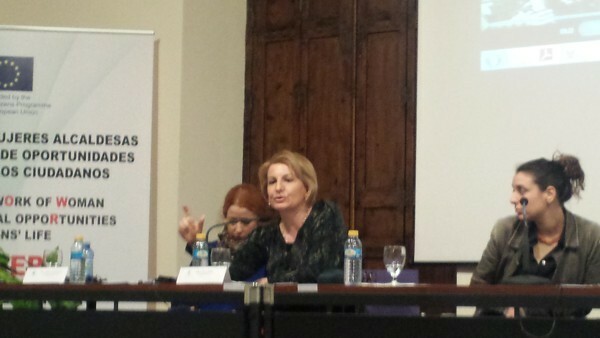 The roundtable has been moderated by the Secretary of Equality CSIF, Mª Ángeles Mur. 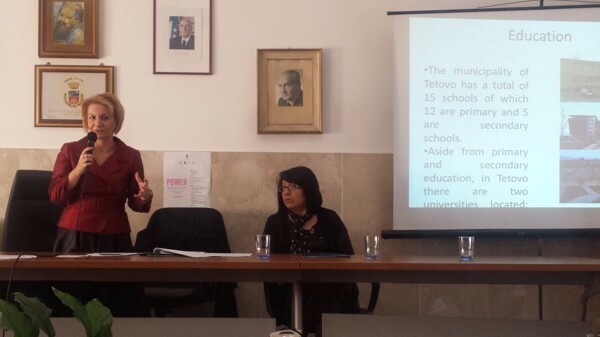 The main presentations have been conducted by Dª Mª Jesús Alarcón (President of the Provincial Court) Ana López – Casero (President of the Fundación Caja Rural Castilla - La Mancha), Isabel Rodríguez Teruel (President of the Provincial Association Petrol Stations), BeatrizCabañas (Vice Rector of Students of the University of Castilla La Mancha) and Carmen Quintanilla (Congresswoman and President of AFAMMER). On the last and third day of meeting partners (March 18th) had a technical meeting to plan future initiatives and in particular to discuss how to implement and disseminate the European network of Woman Mayors, one of the main objective of the POWER project. - 81 participants from the cities of Labin, Pazin, Pula, Rijeka (Croatia). Labin hosted the third meeting of the POWER project. During the first day (September 3rd 2015), the Town Gallery collection was opened by the Deputy mayor of Labin Mrs Eni Modrušan, that welcomed the audience sharing her personal and professional experience as women in leadership positions in local government. The meeting was attended, among others, by the representatives of Pollina - Italy (Magda Culotta), Tetovo – Macedonia / FYROM (Slavica Serasimovska), the Association of South-western Municipalities – Bulgaria (Nadezhda Vladimirova Blagova), the Municipality of Ciudad Real - Spain (Manuela Nieto). Each European municipality presented its best practises and activities on gender equality to the public audience. After this presentation, the event continued with a conference on Women in politics where Parliament members, Regional government members and Local community leaders were present to share their experience. In particular, the main presentations have been conducted by Nancy Tireli (Member of Parliament), Giuseppina Rajko (Deputy Prefect of Istria), Gloria Paliska Bolterstein (Mayor Municipality of Raška) and Mirjana Galant (Deputy Mayor of Pazin). After the conference, the programme continued with a visit to the firm of Nadia Paliska Smoković.Owner of DIVES –Flowers cultivation and sell company since 1995. Nadia is 52-year-old, married with 2 kids. Today her company is one of the biggest flowers supplying company in Istria county. In the afternoon was organized a guided tour to the old town of Labin to discover the historical and cultural features as well as the local gastronomy with olive oil tasting with expert explanations of William Negri, Labin oil producer. The meeting continued with a visit at the Labin museum that offers an overview of the history of Labin through a selection of important events shown in chronological order, thematic units and interactive displays. A particular section is dedicated to Giuseppina Martinuzzi, an Istrian teacher and a revolutionary who stood up for the rights of workers, especially women and children. Giuseppina Martinuzzi’ s bust and furniture from her Labin apartment are exhibited, along with her works: elementary school textbooks, Mnemonic Manual and notebooks. The visit ended with a visit to the permanent exhibition related to the four-hundred-year history of mining in Labin. The second day (September 4th), the meeting continued at Hotel Hedera (Rabac) with a workshop together with Mate Blažina high school students on the topic of involvement of women in politics and government positions. Renata Kiršić, on behalf of the Youth Association of Alpha Albona and in her capacity of President of the Youth Council of the City of Labin, participated in a panel discussion on women and politics, in which she presented the context of youth policy in the Republic of Croatia, work and activities of the Youth Council and the recently enacted Local Youth Programme of the City of Labin, the first strategic document on youth work at local level. During the conference, women entrepreneurs from Labin and Istria region Ombreta Ilijašić, Jasna Jaklin Majetić, Gordana Deranja and Dolores Jenkel, were invited to talk about their entrepreneurial experiences. The third and last day (September 5th) was dedicated to a technical meeting among EU partners, where they discussed technical issues concerning the calendar of events, communication/ dissemination strategies and upcoming activities. - 85 participants from the city of Tetovo (Macedonia). 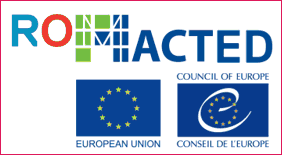 The Mayor of Tetovo, Ms. Teuta Arifi, welcomed guests from Europe and Macedonia to the fourth meeting of European Network of Women Mayors for Equal Opportunities in Citizens’ Life (POWER) project, held from 3-6 February 2016. On the first day (February 3rd 2016), the participants attended the conference where Ms. Arifi shared with participants a wealth of information about Tetovo as well as her administration. In the afternoon there was a visit to the most notable places of Tetovo, the Painted Mosque and the Visual Arts Gallery. An exhibition of female painters was specifically prepared for the Power guests. A concert of folkloric dance and music was the next activity proposed for the evening. The performance of the cultural-artistic association “Xheladin Zeqiri” was met with great enthusiasm among those present. The second day (February 4th) began with the high school students’ exhibition, where the students presented their works. The schools involved were the two gymnasiums of Tetovo, the medical high school, the economics high school, the agricultural high school as well as the professional textile school. The visit continued at the South East European University, where the participants were greeted by the Pro-Rector of the University, Mr. Andrew Goodspeed. He thoroughly explained the vision and mission of the University, which encompasses the multicultural element of Tetovo. The itinerary was followed by a visit to the artisanal shops’ street and then to the exhibition of traditional food and clothing, where the participants had the chance to see and taste the traditional food of Tetovo and to meet local women interested in share their traditional recipes. 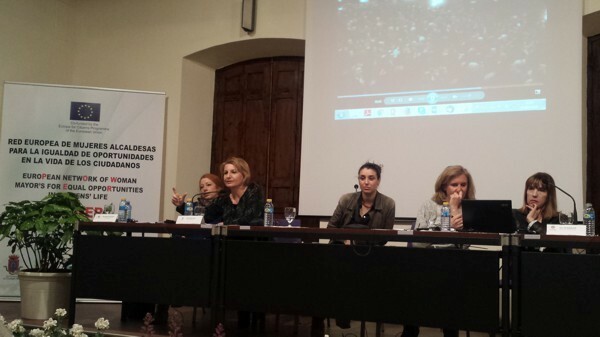 The third day (February 5th) began with a roundtable on the topic “Women’s challenges in the road of success”. Members of the panel were: Teuta Arifi, Mayor of Tetovo; Shpresa Hadri, Member of Parliament; Svetlana Karapetrova, Member of the Parliament; Mimoza Thaqi, Businesswoman; Qanije Selimi, Businesswoman; Lejla Halimi Lumani, Musician; Lejla Abazi, Pro-rector in the SEE University; Xhane Kreshova, NGO Women’s Forum; Merije Vejseli, Gynecologist. The roundtable was moderated by Nial Memeti, head of the Local economic development sector in the Municipality of Tetovo. The participants had the chance to freely express and share the experiences in their different professions, the challenges through which they encounter, etc. The day ended with a social dinner and a musical band’s show at the Hotel Scardus. During the fourth and last day of the Power event (February 6th), the participants were taken on a tour through the city of Skopje, where they had the opportunity to enjoy the old bazaar with its traditional food and stores. - 77 participants from the cities of Blagoevrad, Garmen, Strumiani, Simitli, Bansko, Razlog, Petrich (Bulgaria). The fifth meeting in Blagoevgrad started on 1st of June 2016, when all project partners, many guests and citizens attended the morning conference at the Municipality Hall “22 September”. The conference started with welcome speech from Mr. Radoslav Taskov – Chairman of the Municipal council of Blagoevgrad and Mr. Ivo Nikolov, Deputy Mayor of Blagoevgrad Municipality for Financial department, who was representing the mayor of Blagoevgrad Municipality Mr. Dr. Atanas Kambitov. The first presentation and speech was held by Mrs. Minka Kapitanova, Mayor of the Municipality of Garmen. The topic was: Personal and professional experience. Mrs Kapitanova shared to the public her challenges as a Woman Mayor and her way of finding the work-life balance. Mrs. Minka Saragiozova – Deputy Mayor of the Municipality of Petrich; Mrs. Fidanka Koteva – Deputy Mayor of the Municipality of Strumiani; Mrs. Evgeniya Georgieva – Deputy Mayor of the Municipality of Simitli; Mrs. Minka Kapitanova – Mayor of the Municipality of Garmen ; Mrs. Suzana Sarieva – Representative of the Business in the Municipality of Garmen ; Mrs. Sashka Vachkova – Deputy Mayor of the Municipality of Bansko; Doctor Mariya Kopanarova – Taseva – Chairman of the Municipal council of Razlog ; Mrs. Zornitsa Kraleva – Deputy Mayor of the Municipality of Blagoevgrad; Mrs. Hristina Shopova – Deputy Mayor of the Municipality of Blagoevgrad. The first part of conference ended with a discussion related to the topic “Difficulties in reconciling work and family life”, where each project partner made a presentation with data related to their countries. The second part of the conference started with speech from Mrs. Shopova – Deputy Mayor for Culture and Humanitarian Activities in Blagoevgrad Municipality. The speech was about the difficulties in reconciling work and family life. About the EU and National Strategies & Action Plans on Gender Equality talked Miss Liliya Yakova, Project Manager and co-founder of Association Euni Partners. A visit at National High School of Arts and Humanities in Blagoevgrad was the next activity planned for the first day. At the school hall all partners were involved into a discussion with the students. The students were curious about their way of managing the work-life balance and challenges in reconciling work and family. Students asked several questions to Women representatives who answered by telling their experiences and stories. The programme of the second day (June 2nd) was organised in the Municipality of Garmen, with the opportunity to visit some of villages of the municipality, where tourist and economy potential were presented. During the traveling, all partners visit historical and unique monuments and open museums - Village of Leshten, Gradishteto at village of Garmen, The city of Nicopolis Ad Nestum. The last day (June 3rd), the meeting continued with a visit to the largest and most famous Eastern Orthodox monastery in Bulgaria - The Monastery of Saint Ivan of Rila, better known as the Rila Monastery. The partners took a tour around and into the monastery, which is one of the Bulgarian properties inscribed into the World Heritage list of UNESCO. - 88 participants from the cities of Pollina, Castelbuono, Finale di Pollina, Cefalù, Castel di Tusa, Palermo, Isnello, Licata, Bagheria (Italy). The sixth and final event of the POWER project, started on Thursday 29th September 2016, with a guided visit to the touristic path “Fiumara d’arte” located in Castel di Tusa, near Pollina. Fiumara d’arte is a park of sculptures created by the artist Antonio Presti who blends the contemporary with the rugged beauty of the place. The official start of the meeting took-off in the afternoon, at the Assembly room of the Municipality of Pollina at the presence of the POWER partners, Municipality of Labin (Croatia), Municipality of Ciudad Real (Spain), Municipality of Tetovo (Macedonia) and ASWM – Association of South Western Municipalities (Bulgaria) and citizens. The Mayor Magda Culotta welcomed the audience and introduced the overall reflection on the 2-year project experience: each partner shared points of view on the activities realised and results achieved. The meeting continued with a first session dedicated to the technical aspects about the end of the project: final activities, reporting and future cooperation. This was followed by a second one focused on the presentation of the two main POWER outputs: the POWER DVD and the POWER BOOK. The POWER DVD collects biographies, experiences and best practices of Woman Mayors and other women involved in the project’s actions as well as all materials shared during the project activities and events. The POWER book collects biographies, experiences and best practices of Woman Mayors involved in the project’s actions as well as leader women such as members of Parliament, local business women, members of Associations, NGOs, Institutions and Citizens. The first day ended with the presentation of WOMEN - Woman Mayors European Network. The WOman Mayors European Network (WOMEN) is a European network composed by Woman Mayors and other women in decision-making positions in political, administrative, social and economic field, who aim to improve the participation of women in political and social life - through their experiences and best practices – and, as a consequence, to promote democratic life for European citizens. All POWER Woman Mayors gave birth to the WOMEN network by signing the Covenant of principles and actions, with which they commit themselves to the promotion of the initiatives of the network and widen its members among cities and organisations with which they cooperate locally, regionally, nationally and internationally. The second day of event (September 30th), continued at the Town Hall of Pollina with a public conference entitled “Women success stories”. The Women that have participated to the Conference were: Mrs Francesca di Gaudio / University Assistant Professor and Chemical-health Manager, Mrs Rosalia Stadarelli / Mayor of Misilmeri, Mrs Tiziana Cascio / Businesswoman (Enterprise for the processing and preserving of bluefish), Mrs Marina Scialabba / Mechanical Engineer, Mrs Maria Giuliana / German language teacher and Touristic promoter. The morning ended with a visit to the historical centre of Pollina and to the Tower of Stars, Maurolico Museum, realised on 2016 by the local administration to enhance the architectural and historical complex of Teatro Pietra Rosa. In the afternoon the programme included two visits to two enterprises led by women in Castelbuono. The first enterprise was Castelbontà – a slow mobility and touristic company managed by a group of young women which offered a guided tour of the Castelbuono historical centre by electrical cars. The second company visited was the fashion atelier of Giusi Cusimano, fashion designer of Castelbuono, who founded her personal label and who creates her fashion collection taking inspiration from the Italian Renaissance art and architecture. The third and last day partners (October 1st) participated to a Steering Committee to organize the final steps of the project before the officially closure of the activities.